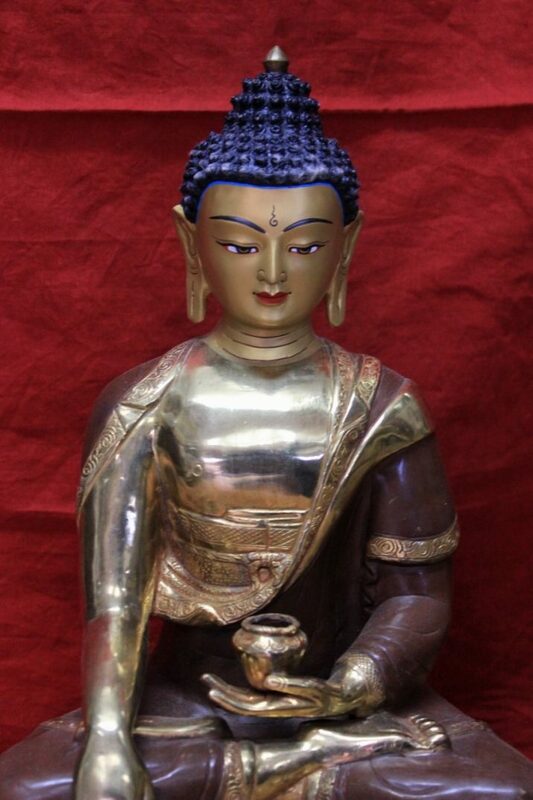 This is Partially gold plated big Garden Buddha for sale designed to place in home, garden,monasteries, dharma centers and even in places like Yoga Centers and Hotels for decoration. 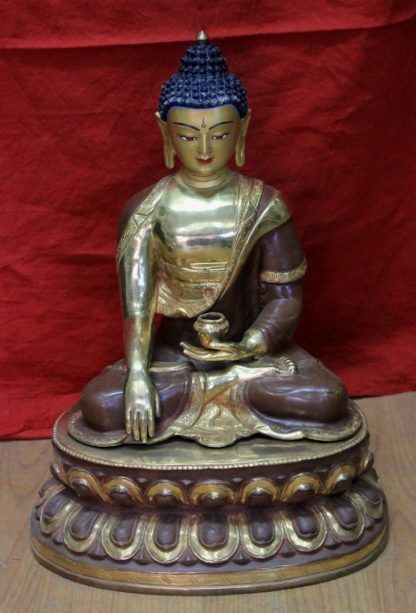 First thing to consider to buy Buddha statue is the type of statue. 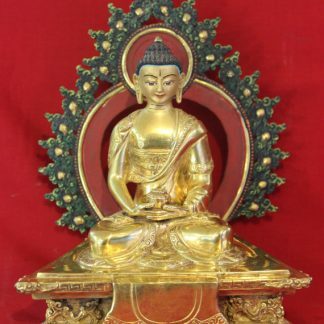 Good statues of Buddha would be the handmade ones. 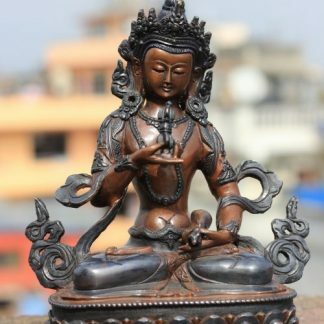 They’re unique towards the artisans creativeness and hands work.These statues of Buddha are particularly, initially and solely produced in Nepal by specialist Newari artisans.he fine artistry and talent they acquired are descended down from their ancestors for generations. 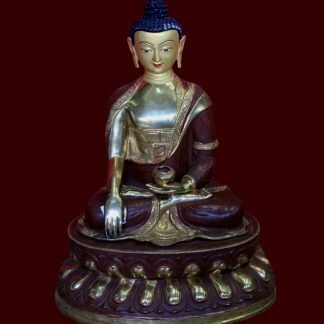 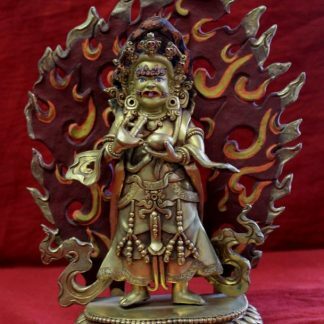 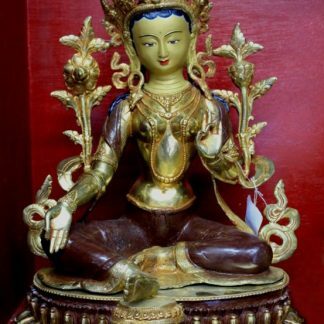 Shakyas would be the major artisans and contributors in allowing the statues of Buddha.If you need some more guidance Do check our article or guidance here on buying right Buddha statues. 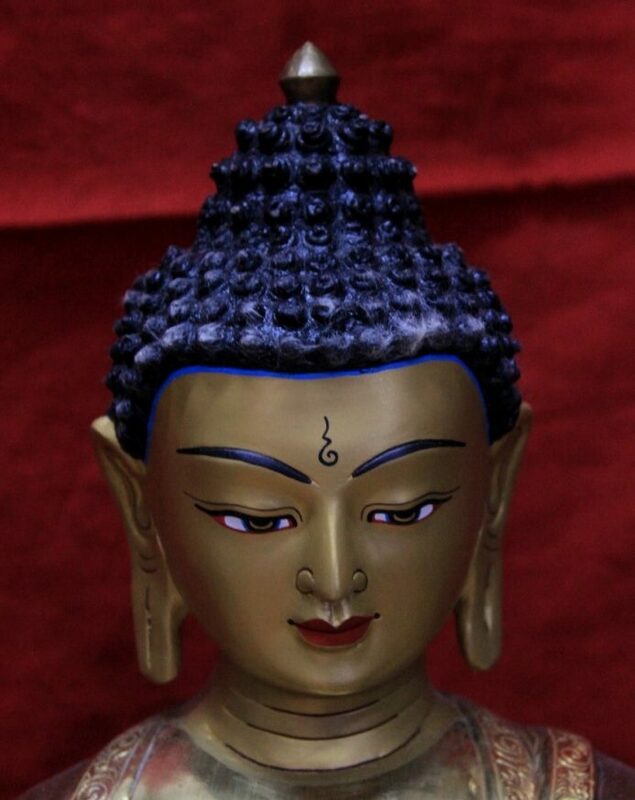 For wholesale inquiries check here. We can send you custom wholesale pricelists.